From the woods where he hides with his nearly grown son Clarke and his young daughter King, ex-Army Ranger Dominick Sawyer watches Agent Charlie Basin's flashlight beam bounce on the walls inside his cabin. Dom's wife is missing. His post-trauma hallucinations rip at him explosively and bring him to his knees. And a local deputy sheriff is dead. When the FBI agents recede into the night, the Sawyers begin to run, across the country in stolen trucks, leaving a trail of blood behind them. Together with a young girl they pick up on the road, they hope to run until they find a peaceable place in the American Northwest. But Agent Basin sees his own troubled family reflected in Dom's haunted existence, and his pursuit is relentless. All any of them want is to spirit King away to someplace safe. All she wants is not to be afraid of her father and to find out why her mother disappeared. Silas Dent Zobal is the author of a collection of stories, The Inconvenience of the Wings. 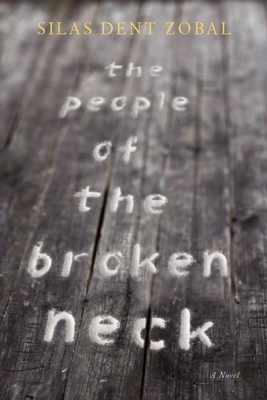 His debut novel, The People of the Broken Neck, is forthcoming from Unbridled Books. He has published short fiction in the Missouri Review, Glimmer Train, New Orleans Review, North American Review, Green Mountain Review, Shenandoah, Wisconsin Review, and elsewhere. He has won the Glimmer Train Fiction Open, been a scholar at the Bread Loaf Writers' Conference, and been awarded a fiction fellowship from the National Endowment for the Arts. He lives in Harrisburg, PA.